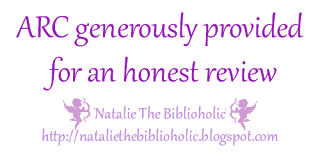 Review: Dad's Best Friend: A Billionaire and Virgin Secret Baby Romance by Amy Brent | The Biblioholic ~ Read more. Sleep less. Violet was a 22-year old virgin lusting after her dad’s best friend. Cole, for his part, had started to lust after her as well, but was trying to curb the temptation. He was hoping to not actually betray his best friend’s trust. But the chemistry between him and Violet proved hard to resist. So Cole was dealing with one part satisfaction and one part guilt. And Violet was swimming in the pleasure of Cole’s attentions. This story was okay. I didn’t hate it but I wasn’t doing cartwheels while reading it either. To be honest, when I see a title like Dad’s Best Friend, I expect something smutty. Steamy even. But this book tried to be more about the plot than the actual connection between the characters. The chemistry was pretty tame and I wasn’t really feeling it. As this is the first book I’ve read from Amy Brent, it was an alright introduction. I’m hoping that this isn’t the norm as I plan to try another one of her books in the future.